Being here in Europe with bad news flooding in from Gaza and the Ukraine, it's time to stop and reflect how quickly joy can turn to sadness - at the press of a button on a rocket launcher! In Gaza the Palestinians could stop Israel's military offensive by stopping the rockets being fired into the Jewish state. Certainly we are affected by the Palestinians who are suffering, but they all have their future in their own hands. Just stop firing rockets. In the Ukraine we see another country ripped apart by political division, but if there are any statesmen in either part of Ukraine, then now is the time to step up and inject some human understanding and common sense into a chaotic and sad situation. It is clear that Ukrainian separatists do not have the tech savvy and the skill to operate a BUK missile launcher. Clearly the weapon and expertise came from Russia, and if the Separatists don't have the guts or the organizational control to step in and stop the chaos, then Russia and particularly it's ex-KGB thug Vladimir Putin should play a pivotal role in establishing order. One word from him and I'm certain those in East Ukraine would pay attention. However, Vlad the Impaler has a broader plan. First his PR spin needs to convince his own citizens that he and his fellow citizens are blameless, then he must continue to act in a way that further strengthens the image he's cultivating in Russia, as the strongman who stands up to, and defies the West. Next, he will continue his work creating an insular Russia, which does not need the West, or anyone for that matter. In extending this broad view, the shooting down of MH17 could not have come at a worse time. 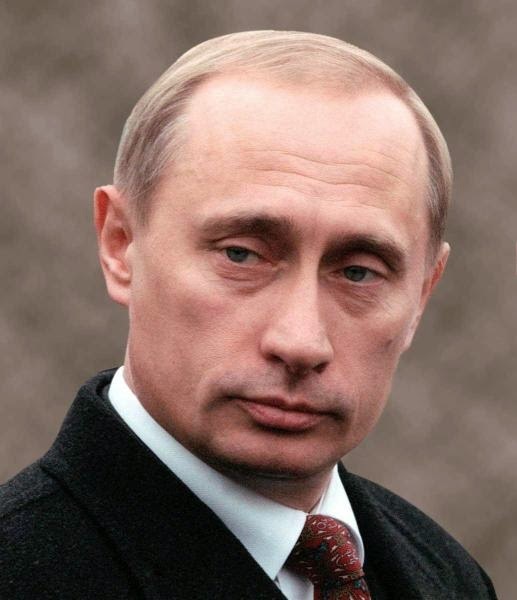 Make no mistake, Putin is an evil man. Already in Russia he is curtailing civil liberties, muzzling a free press, denying many Russians the chance to leave the country, and in general returning Russia to the policies and iron rule of the Stalinist era (a leader he apparently admires), without interference from anyone - political or commercial. Many years ago a Russian journalist with whom I was friendly, told me how Putin tolerated the oligarchs. He told them all bluntly that he would not stand in the way of them creating obscene levels of personal wealth, provided they did not use their wealth or their influence to enter Russian politics. Just look what happened to those who ignored Putin's dictate. They are either dead, or in jail on trumped-up charges. That's how things work in Putin's Russia - so I guess we can whistle Dixie waiting for this ugly little man to show any humanity in the current situation. After all, let's face it, the tragedy has impacted non-Russians, so why should he care?